Burlington Central High School offers English as a Second Language (ESL) programming for students at all STEP levels/stages of their language acquisition. 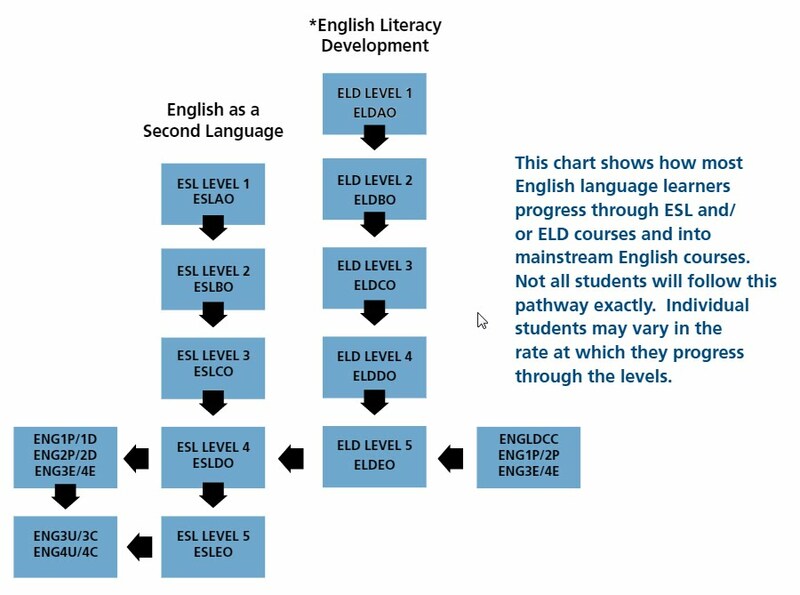 English Language Learners will progress through ESL or ELD courses A, B, C, D and E and into mainstream English courses. In addition to language-based courses, ESL students are supported by subject specialist/ESL qualified teachers in subject-based courses adapted for English Language Learners. Ongoing support is provided for English Language Learners at all stages of their learning based on their individual need. Tutorial support - Students who are enrolled in a full program of mainstream courses may access tutorial support from an ESL or ELD resource teacher, Education Assistant, subject teacher, or peer tutors.